I need to set some financial targets and work hard to reach them. My financial statements are inaccurate; what can we do to achieve greater transparency? Our business plan is developed, but it needs fine-tuning. The books are always closed late; how can we improve efficiency? Our current systems aren’t meeting our needs; what are our options? We thought we had enough working capital but are short on cash to meet daily expenses. The CFO is lacking the skills and training required for our new vision. Does any of this sound familiar to you? It is possible to address these issues and thrive as you get your company up and running. It starts here, with a few essential considerations. Is your plan far enough along to give confidence your objectives can be met? How long can you go without an income stream? Answers to the first question will identify your initial offering, the market need for that product or service, the customer base and high level financial expectations of margins and business performance. The second question can only be answered by hard work, deep thought and research. Without this step entrepreneurs put the success of their new business in the hands of luck, or worse. Sound, deep analysis will prepare you to tackle the myriad of unforeseen challenges new businesses face. The success rate of a new business is directly correlated with the quality of effort put into the initial planning process. Quality here is defined as anticipating and planning for the key needs of implementing and operating your concept. Planning for minor details while missing the important success factors is nearly as bad as not planning at all. Time is wasted and you won’t improve the odds to win. Said another way, identifying the key success factors for the business and properly planning for them will give you the best outcome. A timeline that will allow you to stay on track or adjust your effort to still meet your objectives. When your plan is complete you will have a roadmap, complete with a timeline, to effectively implement your business concept. The objective for answering question 2 is to develop a well thought out business plan that gives transparency to your vision two or three years from now. That direction will then be supported by your financial and operating plans to illustrate how you will reach those goals. The answer to the third question will impact your timeline in two ways. First, if you have plenty of your own money to invest you won’t ned to acquire outside capital. This eliminates a fundraising step that can be a real drain on getting a business up and running. Second, if you don’t need current income you can invest more time developing the concept and create a robust plan that will improve the odds of achieving your objectives. How much capital can I commit to this business? 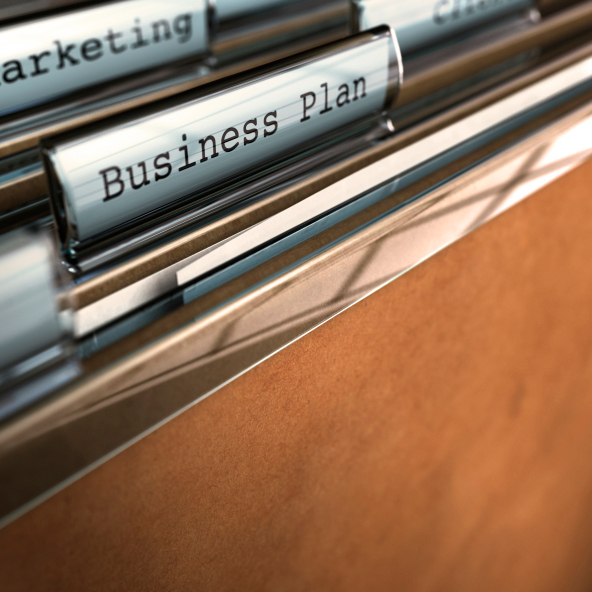 Am I prepared to share the business plan, or parts of it with others? …How much capital the business requires? …The returns they can expect from the business? Can the capital needs be supported by debt or will an equity share need to be offered? But don’t forget to expect the unexpected and plan for it. If you’re too busy chasing funds or planning your business, you‘ll never get to the end game, building a successful business. At the same time, if you grow your business and aren’t looking for growth capital or planning your next move, you can quickly get bogged down. This is where the skills of a professional advisor can really help. Whether you’re a first-time owner or a seasoned executive planning to acquire another company, bringing in support to help manage the finance and planning process allows you to focus on the bigger picture to create and build a business that fits your vision. It’s important to match your needs with the experience and skill set of the advisor you chose. Interview them as you would a senior level employee. Make certain they will fit into the culture of your company. Regardless of your industry, engaging the functional expertise of an outside professional for your treasury, accounting, finance and planning needs can smooth out the bumps and streamline operations.